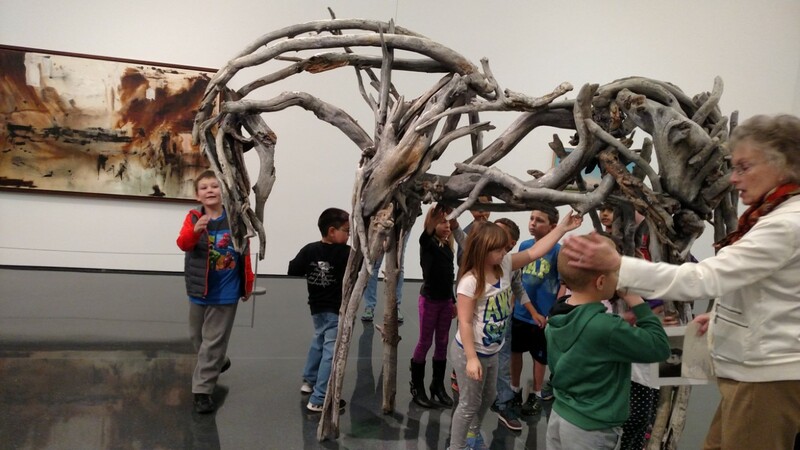 On November 17, 2016, second grade students at Jackson Elementary School had a fun day at the Scott County Humane Society and Figge Art Museum. As an artsBASICS school, students connected art, writing, social studies and community service learning as an integrated study. 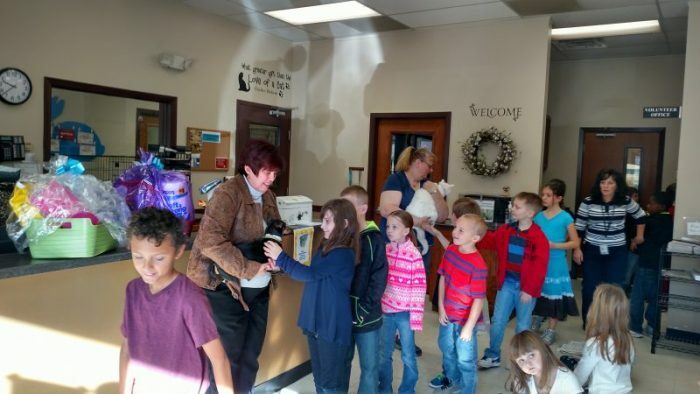 Students collected and delivered several items to the Scott County Humane Society. Director Pam Arndt spoke to students about responsible pet ownership and shared a cat named “Snow” and a dog named “Cindy” with students. Students watched a short film on French artist Henri Rousseau in the John Deere Auditorium. 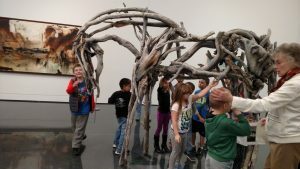 Docents lead students through the museum to see many works of art that depict animals, including the Deborah Butterfield sculpture shown here. Following the tour; students enjoyed eating lunch on the plaza. The afternoon was spent in the studio creating 3D animal habitats and exploring the Artica room. As authors/illustrators students will write and draw their favorite event from the field study trip. Jackson PTA helped fund this field study trip, organized by art teacher, Stacy Houk.